Article Contributed by WJ Liffick. It was 4am and we were already heading out to hunt. The air was cold and the sky was clear. The stars and the moon were the only light around. The moon bathed the rolling hills in an eerie blue light and the yellow prairie grass sparkled in the moonlight. In the distance the jagged lines of the snow-covered mountains glistened. 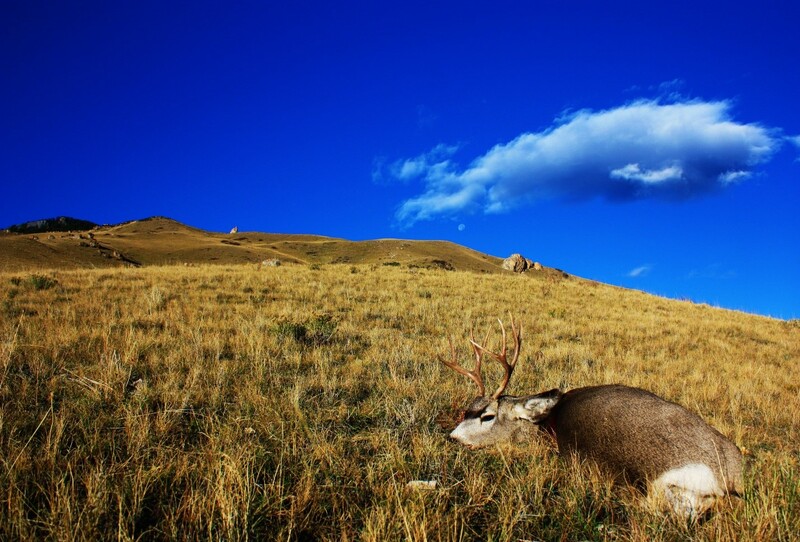 We were headed into the lower slopes of the mountains in hopes of harvesting a mid-season Wyoming mule deer buck. We had been hunting now for three days but had been unsuccessful at filling our tag. We were hunting public land just on the outskirts of the Bighorn Mountain range. My buddy, Philip, and I were eager to get out early in hopes of beating the sun and other hunters to the high ground. We wanted to glass the open hillsides looking for deer from a one of the tallest ridges in the area, with waist-high sage brush covering the top. It provided the optimal spot to glass and remain concealed at the same time. It took us several hours to reach the top of the ridge, just in time to see the sun shine out over the horizon. Instantly the hillsides turned from a dull gray to a brilliant gold glow from the yellow grass reflecting the new day’s light. We glassed for a good hour until we spotted what we were after, a nice herd of around twenty deer about two miles out. They were heading down from the mountains to graze and enjoy the early morning. We immediately packed up and began our stalk. It took us about thirty minutes to cover the ground between us and the herd. We took the draws and skirted the ridges in order to break lines of sight with the herd. We would pop out over a rise, spot the herd and then move back out of eyesight to avoid detection. Once we were close enough to attempt a shot we dropped our packs and gear and only took the old Remington .270 that we had been carrying for the past three days. We crawled our way to the top of the hill and peeked out over the edge and instantly froze. Three does had broken off from the herd and were less than 75 yards directly in front of us. They quickly lifted their head and looked in our direction. We remained motionless for the next five minutes hoping that they would slacken their gaze and return to grazing peacefully. Finally after what seemed like an eternity they broke their stare. Slowly, we crawled back down the hill over which we came to find a different vantage point in hopes of finding a better shooting position. We crept over the next ridge above the deer and finally got a good look at the herd. Just in front of us, at about 200 yards, was the herd. There were three bucks and about twelve does in total. Two of the bucks were fighting while the third looked on in anticipation. We identified the most mature buck in the group. He was a small framed 4×4 with a large body. I carefully extended the bipod legs on the rifle, settled in behind the scope, steadied the cross-hairs, and slowly began to apply pressure to the trigger. The rifle barked and the deer dropped from a well placed shot, just behind the front shoulder. Now that the shot had been made and the excitement of the stalk was over, it was now time to get down to work. We first field dressed the buck taking vigilant care to keep all of the meat intact. After this we started our long trudge out of the hills and back to the road where our vehicle was parked. Three hours later we had the buck in the back of the truck. Spot and stalk hunting is by far my favorite, it is both rewarding and exciting. This hunt was a perfect example of spot and stalk deer hunting. 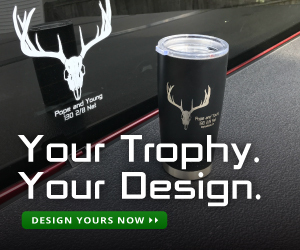 There are a few key aspects to keep in mind in order to be successful at this type of hunting. First is good optics. Without good optics you put yourself at a major disadvantage and risk mistaking a record buck for sagebrush. This may sound senseless but at two or even three miles away you would be surprised at what things look like. Once you have a good pair of optics you need to focus on the terrain you will be hunting. Identify the high points and ridges and sit in a good vantage point that allows for you to drop down quickly in order to begin a stalk. Timing is also a critical factor for success. Make sure to gain your high ground before the sun is up to settle in and prepare for the day. Like most others William grew to love the outdoors at a young age hunting and fishing with his Dad in South Texas. Growing up in Texas he was blessed with many opportunities to hunt and fish. He quickly turned that passion into a job in High School when he started guiding Whitetail and waterfowl hunts in central and south Texas. While attending college at Texas A&M University he acquired a passion for fly fishing and continued guiding hunts in his spare time. Since then he has traveled all over the U.S. hunting and fly fishing. 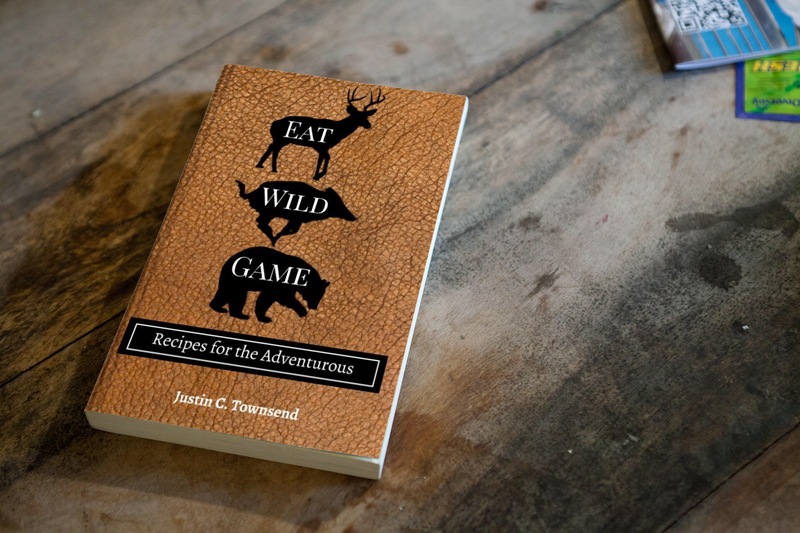 His appreciation and love for the outdoors only grows after each hunting expedition or fishing trip.